Dr. Fadi Edmond Elzayat of A-Dental Center knows what comes to mind when patients in the Hollywood area think of dentures. Dentures often make patients think about the false teeth their grandparents wore, and how unsightly and fake they were. They may also recall how they were never firmly in place and fell out at the most embarrassing times. However, those were dentures of the past. Dentures today are made much more durable with much better quality materials than in the past. When it comes to having full dentures made, some patients will first wear temporary dentures. These temporary dentures are worn while men and women wait for their final restorations to be completed. There are many pros and cons to temporary dentures in the Hollywood area. Temporary dentures are not made to fit as precisely as the final dentures, so patients may notice some slipping. This can be improved with adjustment and the use of dental adhesives. However, it can be important to have these temporary dentures for a number of reasons. They can help patients maintain their appearance and allow them to eat and speak properly. While they are not intended to last forever, they are durable enough to get patients through until their final restorations are completed and sent to the dental office from the laboratory. If you reside in or around the Hollywood area and are interested in learning about full dentures and what to expect from your temporary dentures, contact Dr. Fadi Edmond Elzayat today to book a consultation appointment and evaluation to find out if you are a proper candidate for full dentures. 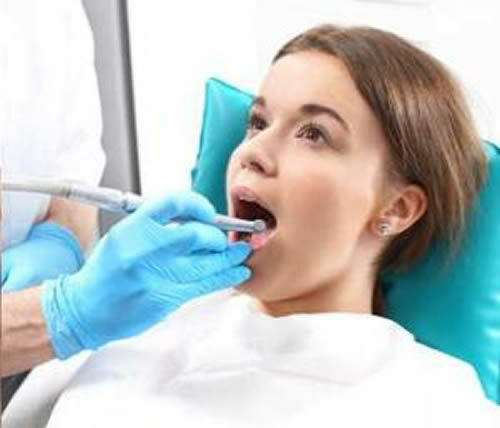 We work closely with all of our patients to determine the best way to address their dental situations and find affordable, effective restorative techniques that fit their budget and lifestyle. Contact A-Dental Center and schedule your first visit. You can work closely with our team of professionals to learn about restorative solutions for tooth loss.